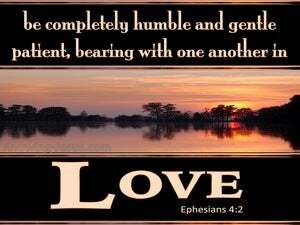 demonstrating all expressions of humility, gentleness, and patience, accepting one another in love. 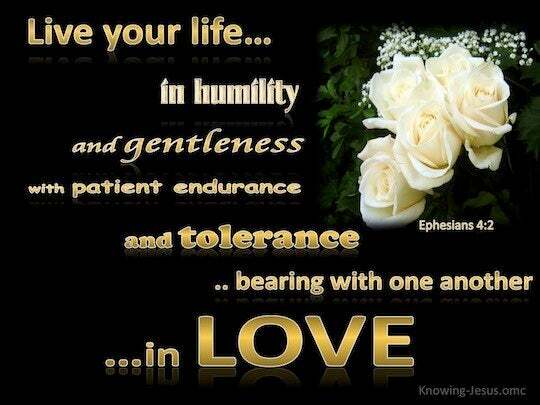 with all humility and mildness, with longsuffering, forbearing each other in love. 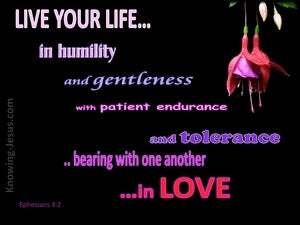 Live in a humble, gentle and patient way, showing tolerance [for the weaknesses] of one another out of love [for them]. with perfect humility and gentleness, with patience, bearing with one another lovingly.